shop till you drop dead!!! Yup, that’ll do it. You have my appreciaiton. What a super article and I bet a lot of people would love to escape the drudge of life for a weekend shopping in Bangkok, me included, although I will probably be busy working on flights To Florida for UK visitors to the sunshine state. Enjoy your travels. Haha. I woke up down today. You’ve cerheed me up! Sounds like a fun trip. I would love to go back to bangkok at some point, it’s a brilliant place. Gotta love the shops! Wow, that a really clveer way of thinking about it! AFAIC that’s the best awensr so far! Going to Bangkok without you shopping? That’s terrible. 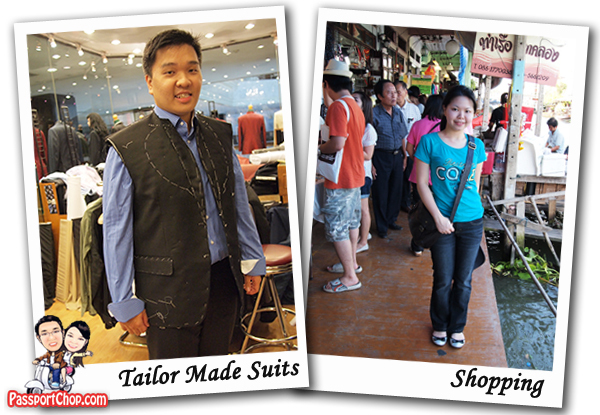 If you are planning to go to Bangkok, you might as well be thinking of shopping to complete your escapade. You don’t have to bring lots of cash because shopping there is not that expensive compared to other destinations. You can get everything you have glanced at without having to worry if you have spent all your cash. Why? The price of anything from foods to clothing are just so reasonably-priced you would probably wish to stay there all your life. Was toallty stuck until I read this, now back up and running. Very nice of you to share this post. It’s always exciting to travel to Bangkok, people are always smiling and the prices of commodities are cheap. This is the correct blog for anybody who wants to search out out about this topic. You understand a lot its nearly onerous to argue with you (not that I really would want…HaHa). You undoubtedly put a brand new spin on a subject thats been written about for years. Great stuff, simply great! This web site is really a stroll-by means of for all the information you wished about this and didn’t know who to ask. Glimpse right here, and also you’ll definitely uncover it. you could have an amazing weblog here! My brother suggested I may like this website. He was once totally right. This put up actually made my day. You cann’t believe just how a lot time I had spent for this information! Thanks! Dear all, I’m just like everyone in S’pore who love to visit Thailand for a short gateway. My trips to Bangkok was good except the recent one. Had a very bad encounter with a tailor shop, Newman Exclusive located at the 2nd level of Amari Watergate Hotel. They are all con men & liar. Their service attitude changed 180 degree once deposit has made. No follow-up was done to my clothes & showed me one kind of face. They disgraced the lovely country & the rotten apple who spoil the name of Thailand. Please share with your friends..
equals the current market value of it.